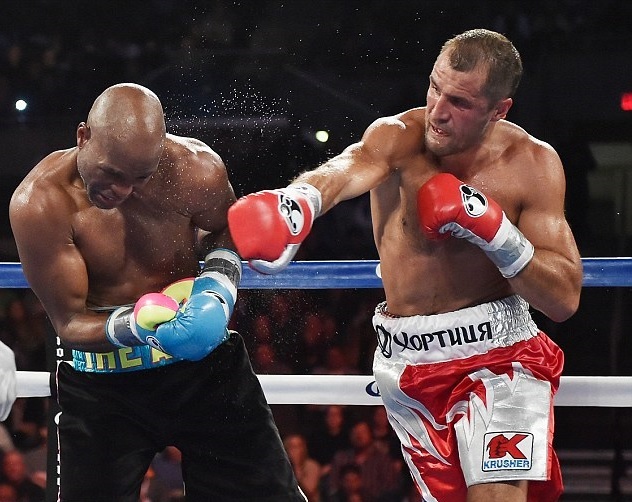 Sergey Kovalev (26-0-1, 23 KOs) totally dominated Bernard Hopkins on Saturday night at Atlantic City at Broadwalk. The Russian put on a masterful display, totally outclassing his opponent from the start, capturing the WBA and IBF titles to unify the light-heavyweight division. Bernard Hopkins (55-7-2, 32 KOs) was down on the canvas in the first round with a powerful right hand from Kovalev and subsequently lost every round of this light-heavyweight unification clash. All three judges gave Kovalev all 12 rounds. Lawrence Layton scored it 120-106, while Carlos Ortiz Jr. and Clark Sammartino scored it 120-107. Once Kovalev put Hopkins on the canvas he kept up the pressure and did not look back once. Father time seemed as though it had caught up with the 50-year-old as the younger Kovalev started going through the gears, landing the cleaner shots. Hopkins’ dream of holding a world title belt at age 50 came to a halt. 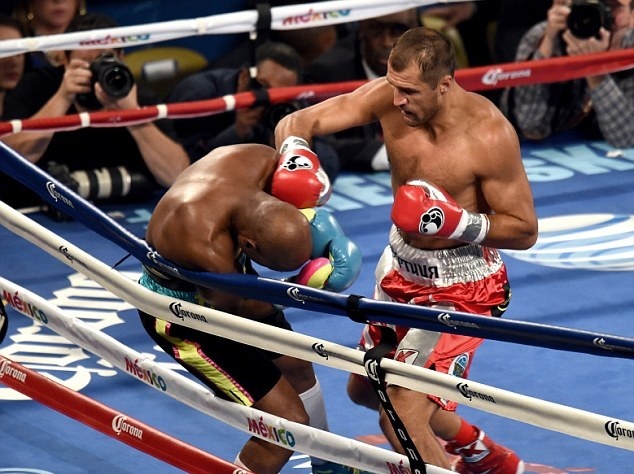 Yet even in the final round he would not give in as Kovalev looked to put an exclamation mark on his victory. Hopkins turns 50 in January and this may well have been his last fight at championship level. Although Hopkins promoter Oscar De La Hoya said Hopkins would drop a division and seek a bout with middleweight champion Gennady Golovkin, Hopkins wasn’t so sure he’d fight again. “It’s 50-50 right now,” Hopkins said at the post-fight press conference. All told, the American did well to hang in there against one of the biggest punchers in boxing. Kovalev had never been past eight-rounds before this fight and although Hopkins heart and will wouldn’t give in, his body just couldn’t take the damage and he wasn’t able to perform to the level needed to win this fight. “I give him a lot of respect,” said Hopkins post-fight. “We both would fight anyone and that’s how we ended up here tonight. “That’s what brought us together. That’s what the people want to see, one title, one belt, one champion. Kovalev, with all of his offensive attributes, showed his defensive skills by sticking to his game plan. He would step back every time Hopkins launched an attack and the Russian would counter-punch the American’s jab with big right hands. “He had a really good game plan. “When he got hit with some of my shots he would step back. But he used his reach and his distance and that was the key to his victory. “He has very good mechanics and patience. It was smart that he stayed patient. He had a really good game plan. I will give him that. Kovalev has always spoken highly of Hopkins and has said that he appreciated the fighter giving him the opportunity to fight. However, he feels now is the right time for Hopkins to hang up his gloves. “He was a really tough opponent,” he said. “He is very good at keeping distance. I really respect him for the fight but he needs to stop his career, I think, because he’s already done a lot in the boxing world and he needs to give an opportunity to younger fighters to be champions. I’m next. No one could argue with the last statement, that is for sure. What is the Ceiling for the Chicago Bulls?